It’s 11am: the hot, Brooklyn sun seems to bounce back at you off the pavement. Your soul is permeated with sweat, but you’ll be damned if you don’t make it to KITH NYC in time to snag that pair of sneakers you’ve been pining over for weeks. You’ve been scrounging and saving for what seems like an eternity, and finally the hour is nigh. You roll into KITH, give a nod to Ronnie Fieg, and finally (finally!) those sneakers are yours. But guess what? You woke up late and forget to have breakfast, arguably the most important meal of the day. Ronnie’s got you covered. 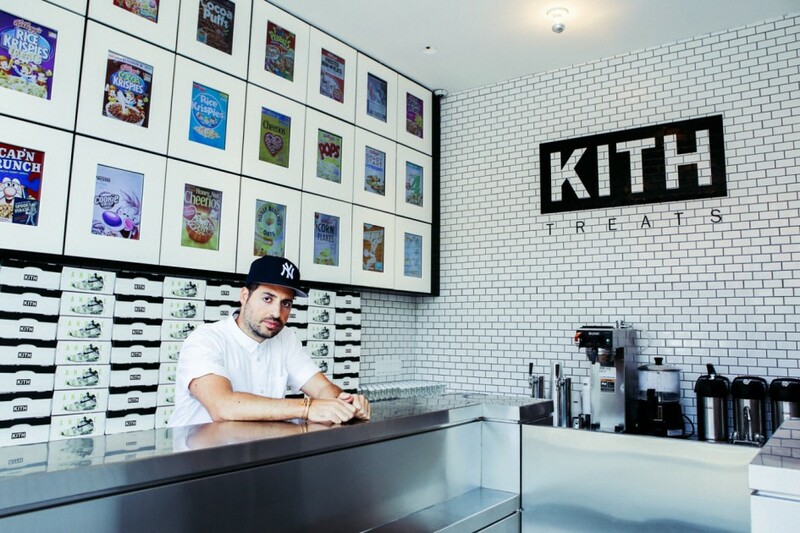 KITH NYC’s renovations come complete with KITH Treats, a breakfast bar with a menu containing 24 varieties of brand name cereals, five different milk options (full cream, skim, almond, chocolate, and hemp), and 25 topping choices. Of course, if you wanted to replace your milk with ice cream you can do that too. Just in case that wasn’t enough, your custom cereal concoction is served in an equally #rare miniature, collectible shoebox. Nike x Andre Agassi have jumped on board to design the first round of shoeboxes coinciding with the 2015 U.S. Open. Check out some photos of the cereal bar in the gallery above.